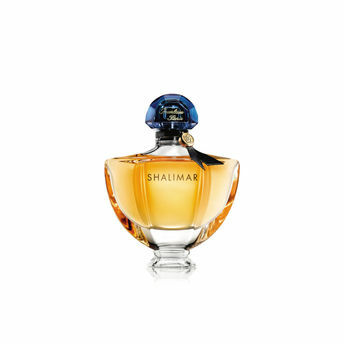 Shalimar is the first oriental perfume in history. L'Eau de Parfum Shalimar is a mythic fragrance with bergamot, iris and vanilla notes ; an intense wake with a touch of impertinence, always glowing which embodies skin-caressing sensuality with a hint of the forbidden. Inspired by the passionate love story between an emperor and an Indian princess, Shalimar, which means "temple of love" in Sanskrit, symbolises the promise of eternal love forevermore. It is a fragrance of desire. In 1925, the Shalimar bottle designed by Raymond Guerlain won first prize at the Paris Decorative Arts Exhibition. Its curves were inspired by the basins of the famous Shalimar gardens. The fan stopper with its sapphire transparency recalls the garden's eternally gushing water. Explore the entire range of Perfumes (EDT & EDP) available on Nykaa. Shop more Guerlain products here.You can browse through the complete world of Guerlain Perfumes (EDT & EDP) .Alternatively, you can also find many more products from the Guerlain Shalimar Eau De Parfum range.